From your balcony, you can enjoy hours of views of the Hohe Tauern, Piesendorf and Kaprun. 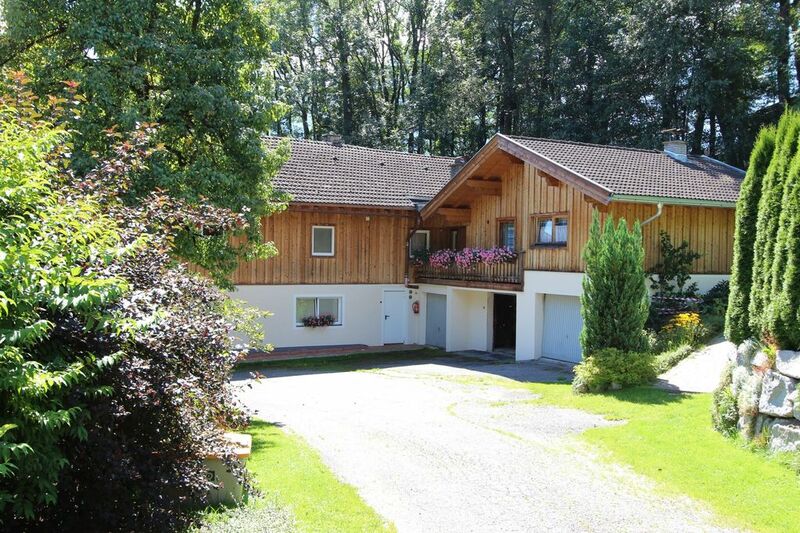 The ski slope, suitable for beginners, but also open in the evenings for lots of fun are directly situated behind the house and more advanced skiers can go to the skiing areas of Kaprun and Zell am See, which are short distance away. The pleasant holiday home guarantees a lovely holiday. The large modern kitchen and living room are furnished cosily. A separate bedroom sleeps two people. The third and fourth person can sleep on the sofa bed in the living room. The holiday home has a balcony as well as a terrace, and you can also use the owner's garden, where you can enjoy a delicious barbecue and there is a space for your car under the carport. Piesendorf lies in the centre of Salzburgerland, near Kaprun, Zell am See and Saalbach/Hinterglemm. In short, there are plenty of possibilities for summer guests as well as for skiers. We thoroughly enjoyed staying here - the apartment is perfectly appointed with everything one needs for a multi-day stay. Good internet, bathroom facilities, washing machine...the bed is comfy, the kitchen is fully equipped, and the back patio is private and tranquil! The neighborhood is small and lovely (horses, cows, and sheep along with a dozen or so homes). For touring: the town, mountains, Zell am See - everything is close-by on good roads. The owner, Josephine, is very friendly and helpful! A great place to stay!